What makes a litecoin appealing is that its price (at $277) is still affordable for many such investors, at least as of now. Ripple's price had surged $1 for the first time on December 21. 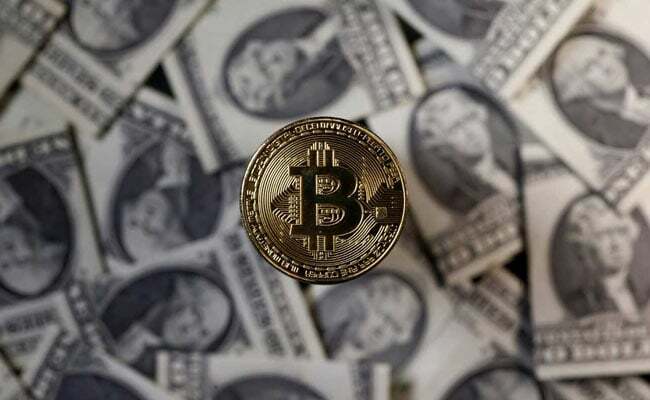 The bitcoin prices may have stabilized on Saturday against Friday's plunge but, they still hover around $14,000, a price far too high for most potential investors. The sky high price of bitcoins had dissuaded hundreds of thousands of potential investors who missed the rally. The bitcoin prices had jumped of late in run up to the launch of futures trading by CBOE and CME Group this month. After the launch, the prices have more or less fallen from the peak of $19,666 achieved on Sunday. However, there are numerous cryptocurrencies which are still not as popular and can be bought for their affordability. Litecoin (LTC): The market capitalization of litecoin rose from $1 billion in November 2013 to $4.6 billion in November 2017. What makes a litecoin appealing is that the price of a litecoin (at $277) is still affordable for many such investors, at least as of now. Another thing that distinguishes litecoin from a bitcoin is that the litcoin takes relatively less processing speed (2.5 minutes) unlike bitcoin that takes around 10 minutes for one block. The market capitalization of litecoin is over $15 billion. Verge (XVG): Verge currency is a cryptocurrency that improves upon the original Bitcoin blockchain and aims to meet the primary purpose of providing individuals and businesses with a fast, efficient and decentralized way of making direct transactions while maintaining personal privacy, says the Verge currency's website. Verge makes it possible to engage in direct transactions quickly, efficiently and privately. With Verge currency, businesses and individuals have flexible options for sending and receiving payments. Verge uses multiple anonymity-centric networks such as Tor and 12P. The IP addresses of the users are obfuscated and the transactions are completely untraceable. Price of one verge is around $0.1583 on Saturday while the total market cap is over $2.2 billion. Ripple (XRP): Ripple, the fourth largest cryptocurrency by market capitalization, claims to offer frictionless experience to its customers to send money globally using the power of blockchain. By joining Ripple, financial institutions can process their customers' payments anywhere in the world instantly. The Ripple woos banks and payment providers to use the cryptocurrency for reducing costs. Ripple's price had surged $1 for the first time on December 21. Zcash (ZEC): While the bitcoin blockchain contains records of the participants in a transaction, as well as the amount involved, Zcash's blockchain shows only that a transaction took place, and not who was involved or what the amount was. Zcash is an open-source protocol because of which, the Zcash Company does not control it (including controlling the mining or distribution of it), not does it have any special access to private or shielded transactions. Just like anyone else, the Z cash Company only has the ability to see a private or shielded transaction if it is a party to that transaction or someone provides it with the correct view key. Zcash is valued at $518.